Taipei, Jan. 11 (CNA) Taiwan has announced its "serious concern" over a reported decision by Japan to list the Diaoyutai (Senkaku) Islands in junior and senior high school books as integral Japanese territories, saying the move does not change historical facts. The Ministry of Foreign Affairs (MOFA) said the unilateral move by Japan "does not contribute" to regional stability. Spokeswoman Anna Kao reiterated the government's stance that the uninhabited islets between Taiwan and Japan belong to the Republic of China (Taiwan) government, calling "attempts to undermine" ROC sovereignty "invalid." Taiwan has conveyed its concerns to Japan through diplomatic channels, she added. She reiterated President Ma Ying-jeou's East China Sea Peace Initiative, a call for related parties to put aside differences, engage in peaceful dialogue and cooperate in tapping the resources of the region. MOFA's response came after Yomiuri Shimbun, a major Japanese daily, reported that the Japanese government has tentatively drafted school curriculum guidelines for junior and senior high schools that call for teaching the disputed Senkaku Islands, called the Diaoyutais in Taiwan, and the Takeshima chain, called Dokdo by South Korea, are indisputably parts of Japan's territory. 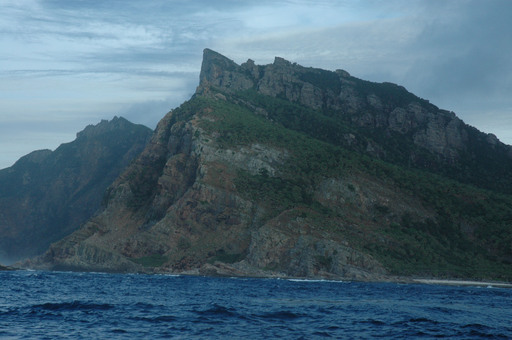 The Diaoyutais are located 100 nautical miles north of the Taiwanese city Keelung. They are controlled by Japan but also claimed by Taiwan and China.